Card Text Play: If you have not played any other cards this turn, gain 3 . For the remainder of the turn, you cannot play cards. 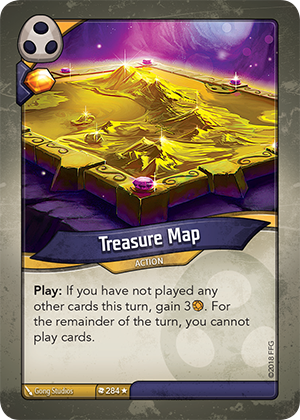 If I have already played cards this turn and play Treasure Map (for the 1 Æmber bonus), can I play more cards? No. You always resolve as much of an ability as you can. Therefore, regardless of whether you played cards already or gained 3 Æmber from Treasure Map, after you play it you’re not allowed to play any more cards for the remainder of the turn.